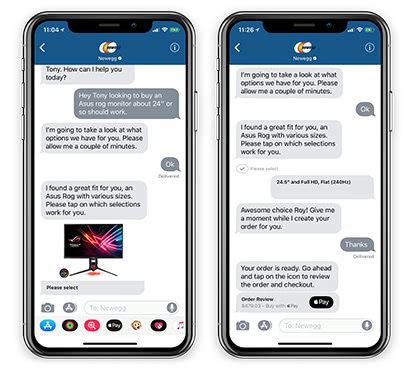 Newegg sells millions of tech products and Apple Business Chat lets customers connect directly to one of our tech experts for help. You can initiate a chat by simply searching for Newegg. Just to the right of our logo is a chat bubble, click on it and get help finding what you want. 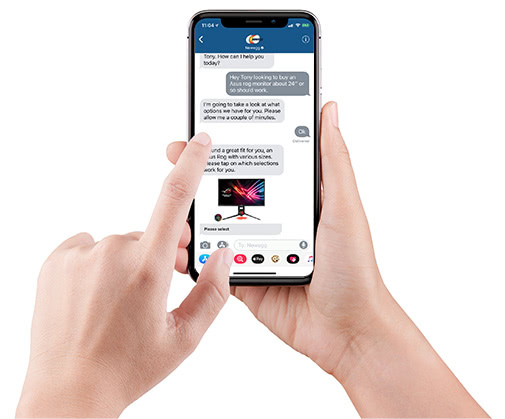 If you already have the Newegg app, you will see the Chat with Messages button on various pages, such as any product page or the Contact Us page. Do you want to game like a pro? Set up a smart home? 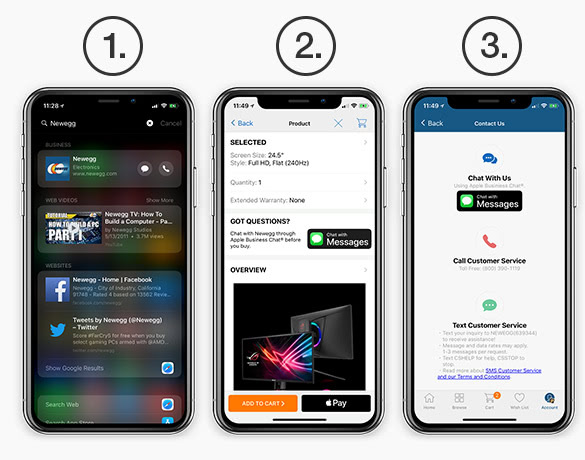 If you want to make sure you are getting the right tech for your needs, Apple Business Chat with Newegg makes it easy. Ask our agents questions and they will provide links to products on our site. Go through the options they offer and find the product that meets your needs and your budget. Once you make your choice, hit the Apple Pay button. You can review your details and your product will be shipped. Newegg is famous for its quick shipping and great customer service. Apple Business Chat makes things even easier.